The Fun has begun. The song has been recorded. By popular demand we are offering a SUNDAY OPTION. Come and ride / race ‘cross on Sunday, August 29th. Visit http://www.bit.ly/gggcross and select the “Sunday Only” option when registering. 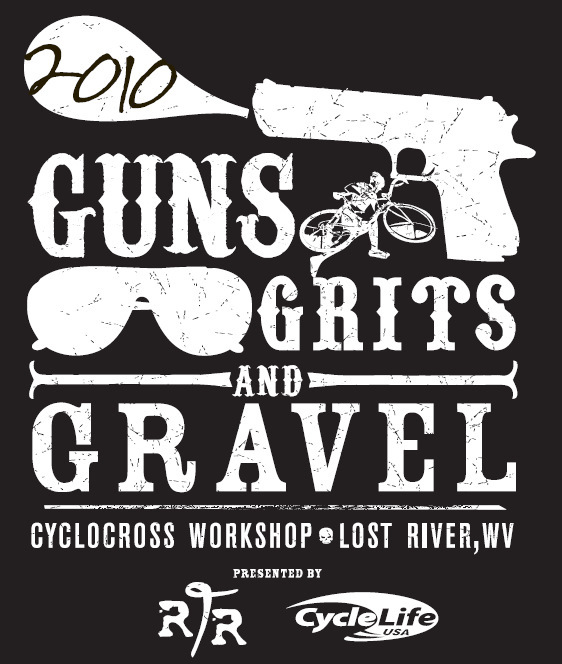 Guns, Grits, and Gravel — The Song from CycleLife USA on Vimeo. 2 wheeled ministers of fun (or pain)- Â First- Â Let me send out a big THANK YOUÂ to all of you who have helped spread the word about this inaugural event going down in Lost River, WV the weekend of August 28th and 29th. Â The response has been awesome.Â CX is really burning like wild fire and in many ways bridging the gap between the MTB and roadie worlds. It seems to have taken hold- Not just an off season alternative- But as a real focused disciplineÂ for this new breed of racer. The Dispanet climb starts mild.Â A sharp turn over a bridge to a holler where an elevated meadow looms ahead.Â The gentle pitch is short lived as it kicks up hard before you grasp the bite. Some how it is deceptively steep.Â But only for a moment.